Arcadia Yachts' 16.8 metre shadow boat Sherpa, the latest vessel from the Naples-based environmentally focused shipyard, has made her debut at Boot Düsseldorf. 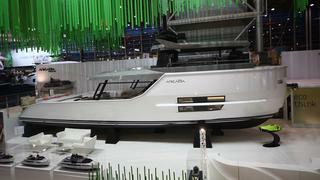 The first hull from the Arcadia Sherpa series was launched in December and is being used as a demo boat. The flexible Sherpa design offers various combinations with two different exteriors – open or saloon deck – and multiple interior layouts. 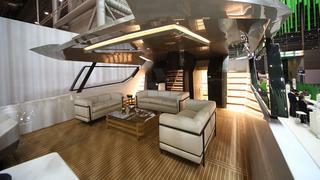 She is the ideal chase boat or superyacht support vessel, carrying a huge raft of toys under her expansive aft deck. Best of all, thanks to her solar panels and fuel-efficient hull, the Arcadia Sherpa proves superyacht shadow boats can be as environmentally friendly as their eco-trendsetter yacht mothership. At 16.8 metres, the Arcadia Sherpa is the perfect size to tag along with a superyacht as a chase boat – hitting speeds of up to 20 knots – or serve as toy box and day boat. 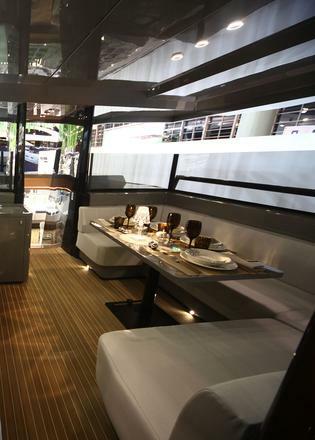 The open deck version has a large 41 square metre deck that can be configured in numerous ways. Arcadia has suggested that she could be set up as a fishing yacht with fighting chairs and bait wells. No matter the arrangement, beneath the aft deck she is designed to store most of the toys you would expect to find on a luxury yacht, with 13 square metres of space. The name Sherpa is inspired by this idea of being able to haul large amounts of gear, as sherpas do on mountain treks. The second version is a saloon deck, which sees the deck enclosed. In this configuration, the Arcadia Sherpa could also work as a long-range expedition yacht – either standing alone or supporting a larger superyacht. This version would offer an air-conditioned deck space ideal for tropical climates or could be heated for cold-weather exploration. 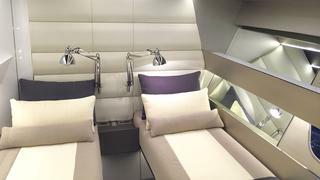 There are multiple interior layouts available as well, including a single-cabin version with a massive owner's suite and a modular saloon area; a two stateroom version; and a three cabin version, which has a master suite forward and two guest cabins. The Arcadia Sherpa can also be used to ferry extra crew and staff alongside the mothership. As for her eco-friendly yacht virtues, like other Arcadia Yachts the Arcadia Sherpa is covered with solar panels that power the yacht’s hotel load. Solar cells are set into double glazed panels on the yacht’s roof and provide up to 3.5kW of power to run the batteries, lights, A/V equipment and more. 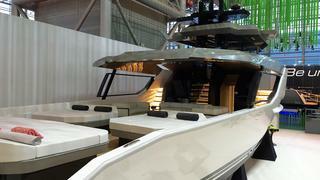 She also boasts a highly efficient NPL hull designed in collaboration with Volvo Penta. While she can exceed speeds of more than 20 knots, the Arcadia Sherpa can also run in full displacement mode and consume only 43 litres of fuel per hour when cruising at 12 knots. 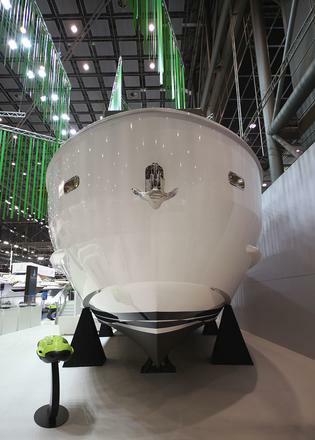 To top off the green attributes, her anti-fouling is also eco-friendly as well. 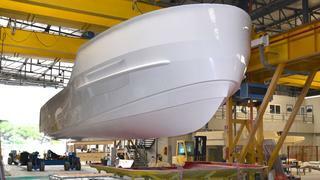 The second hull from the Sherpa series is currently under construction and is scheduled for launch in March 2016. Construction is also underway on the first hull of the solar powered Arcadia 100. Arcadia offers a range of fibreglass yachts from 16.8 to 35 metres and the yard has already received enquiries for further hulls in the series. 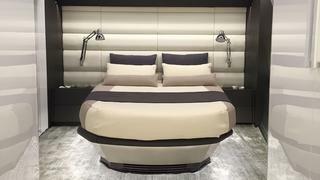 It also has plans to build steel and aluminium yachts up to 45 metres.